A naturally-occurring, horizontal undercut remnant in sedimentary rock with the span remaining at the same level or below the supporting end walls. 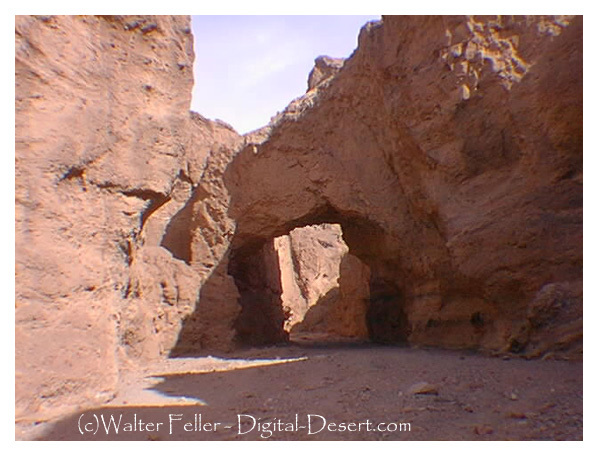 Day Hikes in Death Valley - Natural Bridge Canyon. Natural Bridge natural formation, Death Valley, Mojave Desert. The geology of Natural Bridge, Badwater Death Valley regional field guide.